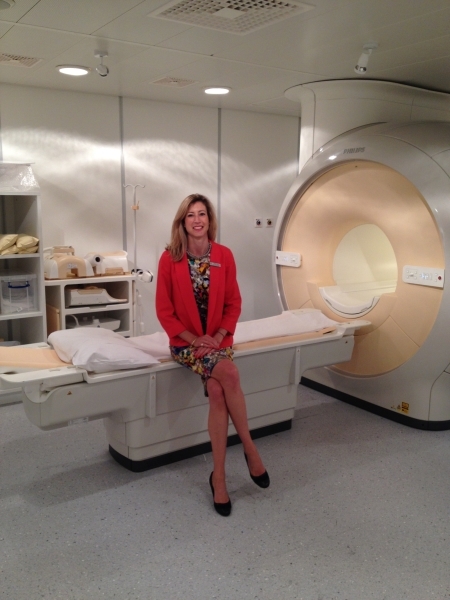 A bid to give patients in Essex access to a £1m state-of-the-art 3T MRI scanner is now underway. Holly House Hospital in Buckhurst Hill is in the process of installing the revolutionary machine - the first of its kind in Essex and the surrounding areas. Michele Fox, imaging services manager at Holly House Hospital said the scanner is the most-advanced imaging equipment available and signals a new era in imaging. She added: “To bring the new scanner to Holly House is a huge and exciting procedure. “In order to get our old scanner out of the building and the new one in we have to take a large portion of the wall out of the front of the building. Specialist contractors who can move this type of equipment have also been brought in. Holly House Hospital will be one of only a handful of independent hospitals outside central London to have a 3T MRI scanner which can help detect conditions including heart disease, cancer and musculoskeletal conditions. The upgrade means it can provide more detailed images with greater resolution and will also be capable of imaging smaller lesions and anatomy not clearly visualised on 1.5T scanners, particularly in musculoskeletal and brain imaging. 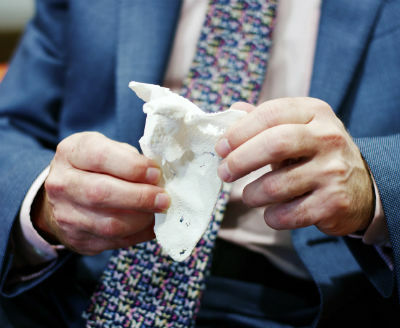 Fox said: “The 3T MRI scanner is a new generation in imaging technology – the imaging quality is very advanced and we will be able to see very fine bone and joint detail. We can even look at microscopic detail of the brain. “Oncology patients will benefit from this advanced technology greatly and for the first time ever our diagnostics team will now be able to undertake cardiac work, which opens up a whole new world of imaging for us. The old scanner will be removed on September 18 and the new scanner will be installed on November 18. The announcement of additional investment follows a major £20m expansion project at Holly House Hospital earlier this year which has doubled the size of the hospital’s premises. New facilities within the development include a new outpatient department, with 23 consulting rooms, as well as three new integrated theatres, a new pharmacy, pathology lab and endoscopy unit. Phil Bates, director of Holly House Hospital, said: “This is a very exciting phase in the development of Holly House Hospital. Following the opening of our new building we have been able to expand the specialist services that we offer to our patients. “Holly House Hospital has been established for more than 30 years and we have built our reputation on providing exceptional care to our patients delivered by our friendly and caring staff. Holly House Hospital is run by Aspen Healthcare.